My mom was a beautician so she was very strict with me when it came to skincare. While other children went to school with packed lunches, I went to school with a bottle of facial cleanser, toner and moisturiser. Yeap, from the age of 10, my Mom forced me to wash, tone and moisturise my skin during school’s recess period. 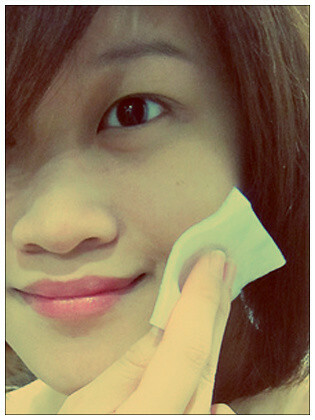 It felt really lame and troublesome then but I must admit…..I’ve got my Mom to thank for when it comes to decent skin. 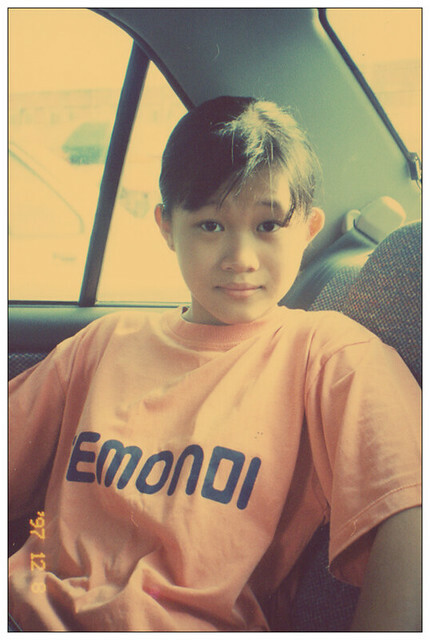 # – Old picture of my 13 year old self (now you know my age) in my favourite orange t-shirt then. After I stopped living with my parents though, my skincare routine went completely off. I guess I was so deluded by the wonderful condition of my skin that I forgot it had all to do with a good skincare routine. I started skipping the toner and eventually stopped moisturising altogether. I only washed my face once a day and that was if I remembered. It was fine for a while, until one day I saw myself in the mirror and it hit me…. My “occasional one or two pimples” had multiplied into about 12. 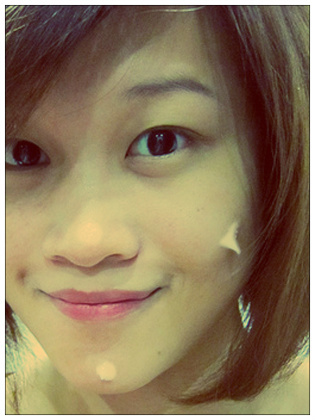 The blackheads on my nose – they were visible from several feet away. And foundation was cracking around my eyes (which, by the way I had to wear because my complexion had become so uneven!). 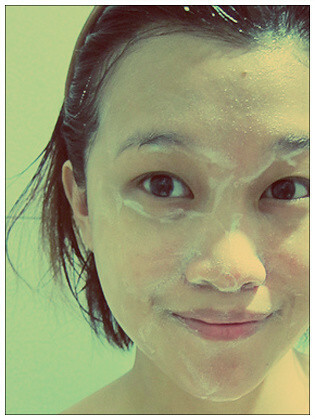 Needless to say, after that major fright, I immediately resumed my skincare routine just as how my Mom taught me. In recent years, I also added another step which was eye cream cause I am terrified of developing crow’s feet and has since changed my moisturiser to an anti-wrinkles product. So what’s your skincare routine like? I wonder if I’m doing too much or too little?? #1 – Wash with a good cleanser. #2 – Lightly pat all around with a non-alcoholic toning lotion. #3 – Dab good eye cream sparingly around the peepers. #4 – Finish off with a good anti-aging moisturiser. 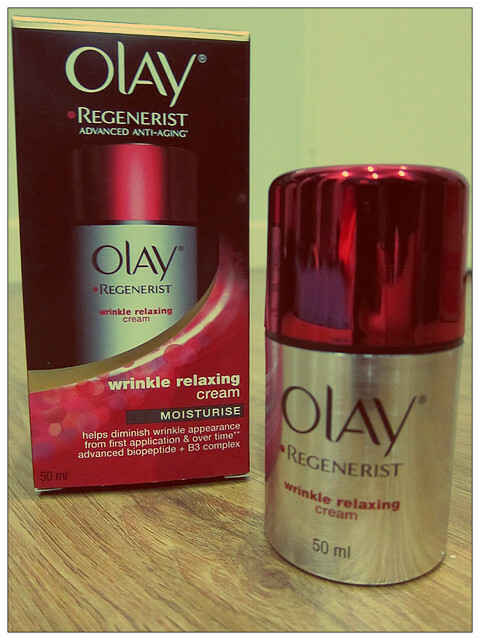 Speaking of a good anti-aging moisturiser, I implore you to try the Olay Regenerist Wrinkle Relaxing Cream. I have blogged about it here and I LOVE IT. I even apply it on my hands and I can see the fine lines become noticeably fainter! # – Olay Regenerist Wrinkle Relaxing Cream. It comes in a classy red and silver bottle with a nice pump mechanism which releases just the right amount of product. It is surprisingly non-greasy considering how moisturised my skin feels immediately after application. # – Nice pump mechanism. Anyway, I wanted to do a 14 day review but I could already see the difference after 10 days. 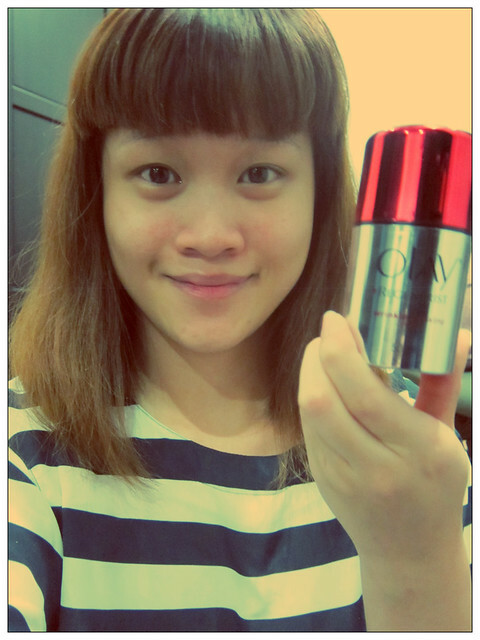 I didn’t think my forehead could look any smoother but Olay Regenerist Wrinkle Relaxing Cream has proven me wrong. # – From 1st application to 10 days later. Totally unphotoshopped and with no makeup. In fact, I don’t feel the need to apply makeup merely a week after starting using it. I don’t know if it’s me or if it’s really the product, but I feel that my skin tone has become a lot even – not so sallow anymore. I am so confident of the product’s efficacy I’m challenging you guys to give it a go! If you don’t find it good, come and scold me! # – 15 years later. Not too bad right? Olay Regenerist Wrinkle Relaxing Cream is available at all major pharmacies. 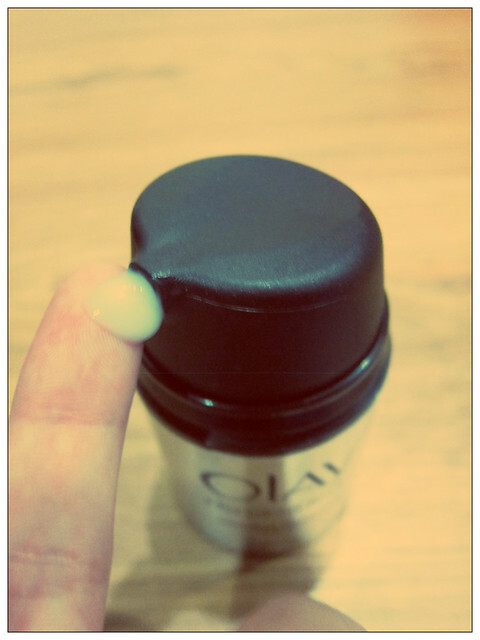 ADV: Why I will continue using Olay Regenerist Wrinkle Relaxing Cream. First look at the Olay Regenerist Wrinkle Relaxing Cream. Recipe for my version of incredibly awesome mac & cheese. Pledge to live green. Save some turtles! 6 Responses to My skin then and now. Glad that the Olay worked for you. 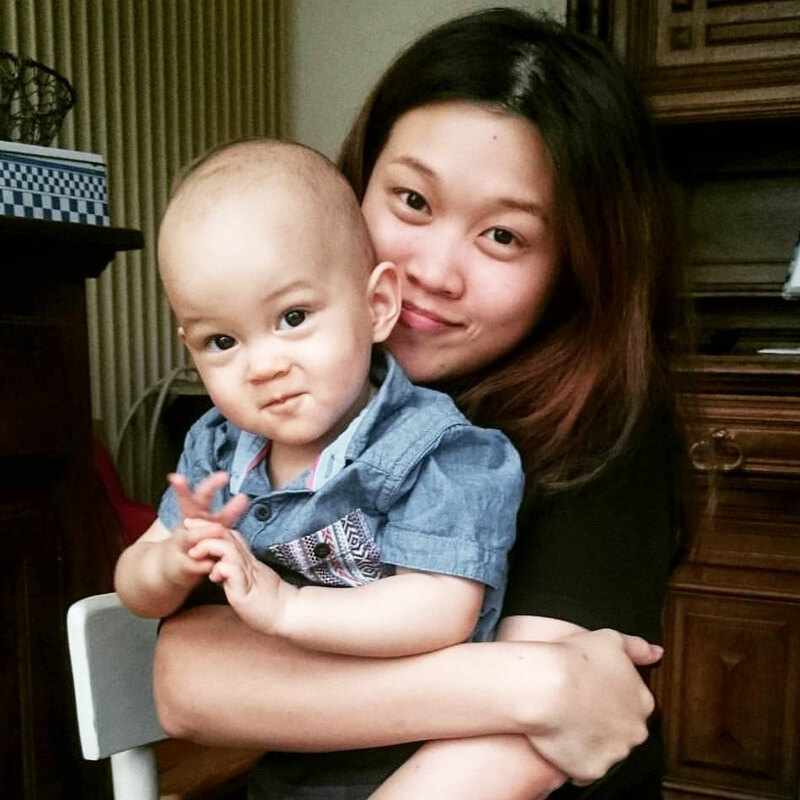 Skincare works differently for everyone. I have tried so many brands in the past from drugstore brands to La Mer, La Prairie, Guerlain, SKII. So far Kose infinity works the best for me. Probably will end up purchasing the Olay wrinkle cream though. Been struggling to get rid of this tiny wrinkle line between my eyebrows. When it comes to beauty as long as it is not surgery, I will give it a shot.